Before starting a website, we should register a domain name with a hosting provider. A domain name is a unique internet address that consists of a name and extension. This extension is also called Top Level Domain and is the rightmost part of a domain name. This article lists the factors that influence picking the correct domain extension and how it influences your SEO. Domain extensions were at first acquainted to facilitate browsing across different domains. 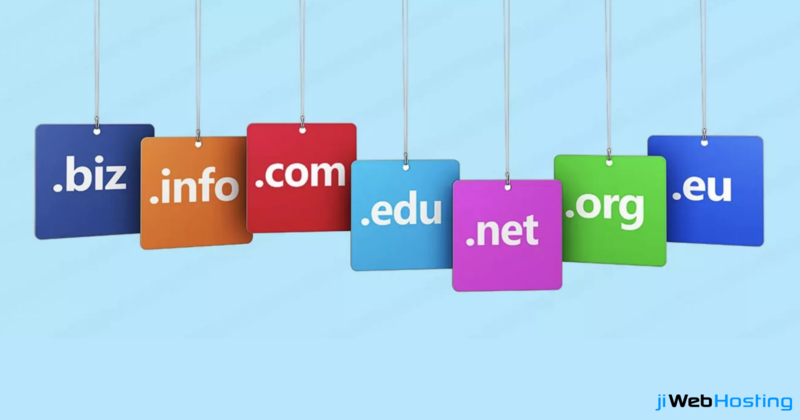 Six general top-level domains (gTLDs) were subsequently marketed. This resulted in a different domain extension for different types of organizations. The best known is .com. The .com extension was introduced for websites for commercial purposes. In addition to the general domain extension, there is another type of TLD: the domain extension with a country code, or the country code Top Level Domain (ccTLD). A ccTLD consists of the county code of the country for which the extension is intended. Advantages: A ccTLD is the strongest signal to indicate to Google where the origin of the website is. If all other SEO factors are the same, the 'abc.com' website is better positioned in Google.com over 'abc.in' or 'abc.co.uk'. Disadvantages: A disadvantage of a ccTLD is that you have to buy a new extension for every language. This can be very costly. Furthermore, Google's crawlers do not see multiple websites as one website since they have diverse extensions. Therefore, every website must build its own authority. This authority is the value that Google assigns to a website. The more authority a website has, the longer Google stays on the website to index its pages. As a result, higher authority prompts better chances to achieve a good position in Google. However, this is not the main factor that determines which websites are performing great. Google utilizes more than 200 signals to figure out which results are most relevant. Which TLD you need to choose depends upon various variables. Want to rank in Google.com? Then it is wise to pick the overall top-level domain .com. If on the other hand, you only sell products in India, you can choose the .in extension. Google comprehends that your website is intended for the Indian market and that you need to score better in Google.co.in. When your site is focusing on a particular country, it is advisable to choose the ccTLD of that country. For this situation, you may need to buy a new domain with another TLD at any international extension. Therefore, a ccTLD affects your web index results. gTLDs have as much chance to score well and along these lines do not influence the search engine optimization of your website. What you have to remember when utilizing a gTLD is that you communicate this to your target audience.